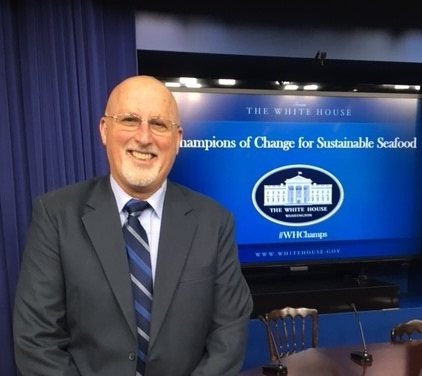 On October 7, in a first-of-its-kind event honoring Champions of Change for Sustainable Seafood, our friend Brad Pettinger was honored for helping to turn around a fishery that was declared a federal disaster in 2000. Brad serves as director of the Oregon Trawl Commission and was a driving force behind the Marine Stewardship Council’s (MSC) landmark 2014 certification of the West Coast groundfish trawl fishery as well managed and sustainable. Squandering ocean fish—an essential living resource—unnecessarily harms not only wild creatures, but also the billions of people around the world dependent upon fish for their food and livelihoods. 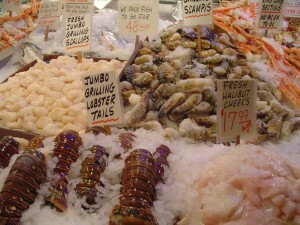 A recent report by the Johns Hopkins Center for a Livable Future finds that between 2009 and 2013, billions of pounds of seafood is wasted every year in the United States—that’s as much as 47% of all edible seafood going to waste. The waste occurs throughout the seafood supply chain, but also in wild fish discarded at sea, sometimes called “bycatch” or “discards.” Fortunately, there are good answers to the bycatch part of this challenge. Proven solutions exist to reduce wasted fish in the form of bycatch and discards. When fishermen are empowered with sustainable management, they are able to focus on gear and harvesting innovations that target only the fish they want to catch. David Stevens comes from a long line of St Ives fishermen and is part of his family run business. Their vessel, The Crystal Sea is a 20 meter trawler working out of Newlyn, which goes to sea 3-5 days depending on the weather, so as to maximise the quality and freshness of their catch. David skippers alongside his brother, Alec, with a crew of three others and their father working ashore with the nets and supplies. Astoria, Oregon fisherman Kevin Dunn is familiar to EDF’s Pacific Ocean team because we worked with him closely to redesign fishing nets and reduce bycatch. Now he’s becoming familiar to millions of others through a Whole Foods Market commercial that debuted during the World Series. The Whole Foods ad is a great illustration of a simple but powerful idea: well-designed fishery management systems can not only result in conservation gains and a healthier environment, but also economic gains for the people that rely on the ocean for their livelihood. This has been a big year for fishermen in the West Coast groundfish catch share program. It received a sustainability certification from the Marine Stewardship Council and an upgrade in sustainability ratings from Monterey Bay Aquarium’s Seafood Watch program for many of the fish they catch. 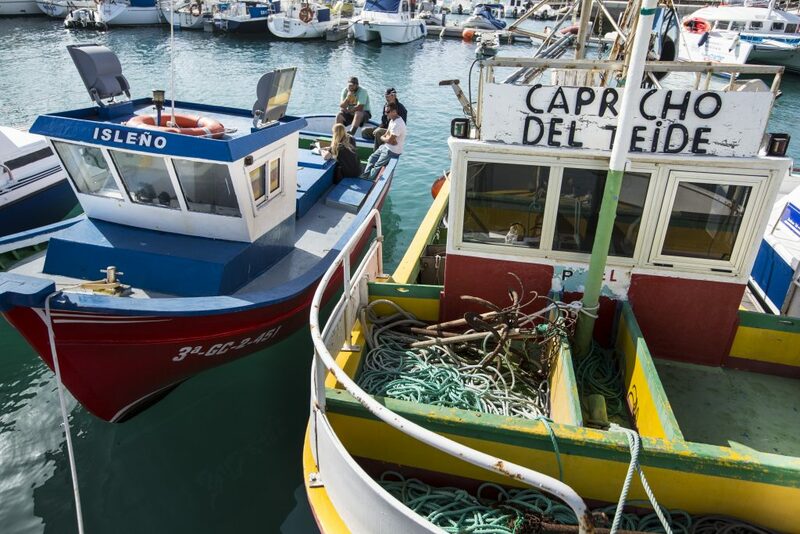 When the MSC certified the fishery sustainable, it noted that this was the most diverse and complex fishery ever considered for certification, and emphasized the important role that catch shares played in recovering the fishery. 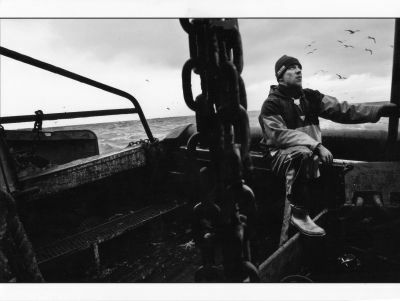 The fact that Kevin and his crew now represent the very best in sustainable seafood sourcing is remarkable, and very hopeful. In 2000, the fishery was formally declared a disaster due to decades-long mismanagement. EDF worked with fishermen and seafood suppliers to turn this fishery around by advancing new management solutions, including catch shares. We also provided tools to help fishermen and suppliers through the transition — such as innovative new lending mechanisms like the California Fisheries Fund. Today their trawl catch is “independently rated for sustainability; traceable from dock to store” and they are part of a durable industry that supplies about 250 million pounds of sustainable seafood every year. Kevin and his boat the Iron Lady are also featured in a 3-minute YouTube video with Whole Foods supplier Bornstein Seafoods, the company to which Kevin delivers his catch. It’s a nice glimpse of what our West Coast fishermen friends do for a living and the positive relationships that often emerge after catch shares go into effect. In traditionally managed fisheries it’s unusual to see fishermen partnering closely with seafood processors. But with improved fishery management comes closer cooperation and new possibilities for partnerships between fishermen and seafood buyers. In addition to forming partnerships, fishermen are able to spend more time innovating with their gear and carefully planning their businesses. The net you see spilling its catch onto the Iron Lady’s deck is one we helped Kevin test. It has a built-in excluder device that allows halibut – a non-target species for Kevin – to escape unharmed. Another example of a solution that works for fish and fishermen!